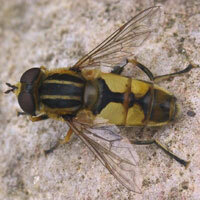 The hoverfly Helophilus pendulus is a common find, particularly around water or damp habitats. 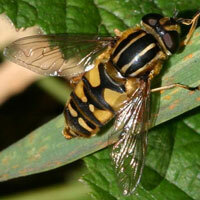 The black stripes on the thorax give it the common name 'The Footballer'. 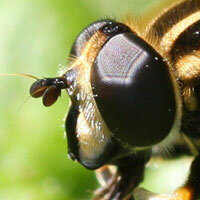 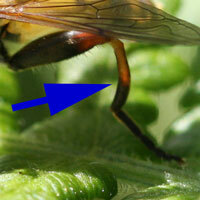 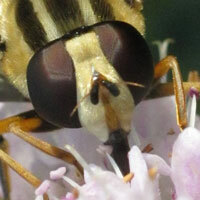 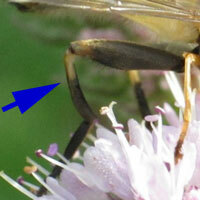 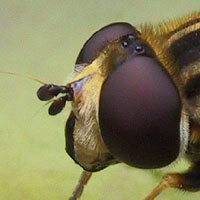 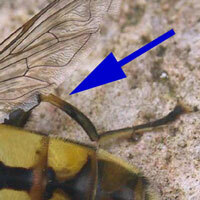 However, there are other hoverflies in the genus all with a stripy thorax. 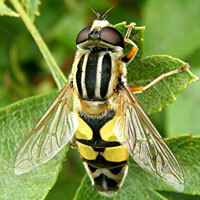 This page should help you to distinguish the three Helophilus species found in Leicestershire and Rutland.